In today’s hectic and advertisement-driven world, it’s no wonder we’re always left wanting—more space, more gadgets, and so on—after all, having more things means a more luxurious lifestyle, right? Wrong. Downsizing on space—or things—doesn’t mean you have to sacrifice your sense of personal style, no matter how chic it may be. There are ways to rid your life of unnecessary clutter, while still saving money for the future. Homeowners everywhere are beginning to realize that “living large” doesn’t always mean bigger is better. Here at Modernize we believe that material items and more space aren’t always the key to happiness. Check out a few of the ways we minimize luxuriously, in order to make room for the important things in life. You don’t have to have the largest house on the block to be happy. Try downsizing to a tiny home, with only the most basic and necessary items. 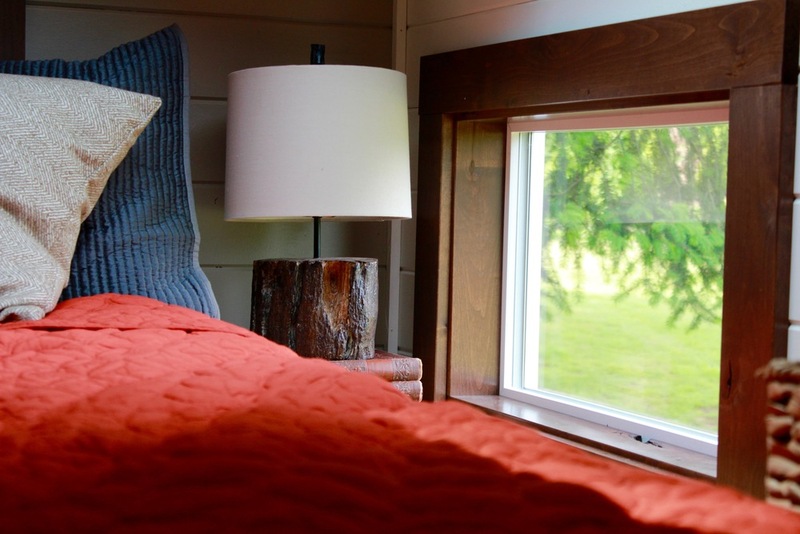 Tiny homes now come with a variety of customization options, so that you can live your eco-friendly lifestyle without losing your personal style. Imagine the perfect hardwood floors and a marble kitchen countertop just the way you’ve always dreamed—except a bit smaller. As a homeowner, it can be hard to part ways with your favorite pair of completely-worn-at-the-knees jeans or the television you’ve had since college. But these things are probably not even being used anymore, so there’s no sense in keeping them around. Try on your clothes every six months to ensure they still fit properly and are still in good condition. Get rid of old clothes by donating them to a good charity. Knowing that you are making a difference in someone else’s life can help you get rid of clothes you love but don’t need. Do the same with old household items. Eliminate clutter in your kitchen by donating appliances you never use. Try recycling these items to lessen your environmental footprint. Your home doesn’t have to be filled with “stuff” to make you happy. Giving your home and closets a clean purge can help you minimize to a smaller home. With today’s lifestyle, we accumulate so much stuff, yet we still buy more. You don’t need china for every holiday, and you don’t need all of your favorite movies on DVD. Give up your dusty media collection for subscription-based movie and music services. Make a shopping list every time you grocery shop so that food never goes to waste—or better yet, plant a vegetable garden. Sort through your collectables—things like travel souvenirs and old birthday cards—and save only the ones you can’t bear to toss. This will not only eliminate clutter but will help you focus on the important things.